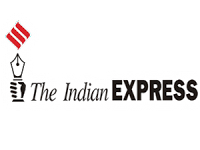 The following article appeared in The Indian Express on September 30, 2015. The full text is below. Advocates of net neutrality — a vocal minority linked to NGOs and internet start-ups — are unhappy with such an arrangement, which they feel will disadvantage consumers by limiting choice. It could also discriminate against smaller content providers struggling to compete with established internet companies. Net neutrality advocates have argued that there are other ways to expand access and lower costs, such as subsidising data plans or through advertising. But this line of argument, too, has its critics. Some believe implicitly that net neutrality is an elitist concern, echoing Zuckerberg’s view that “It’s not an equal internet if the majority of people can’t participate.” Others contend that net neutrality requires unnecessary government intervention, a forcible levelling of the playing field. Why should the government prevent Facebook, Reliance and certain websites from entering into exclusive arrangements, particularly if it helps to expand access and deflect costs from consumers? The arguments against net neutrality, rather bizarrely, offer one area in which populists and free-market enthusiasts might find common cause. Both sides of this debate bring certain compelling arguments to the table. In the United States, the government eventually came out decisively in favour of net neutrality. This made sense in an economy where the vast majority can afford access to the internet, and where monopolistic data providers were effectively price gouging. Consumer choice advocates and Silicon Valley entrepreneurs were overwhelmingly pleased. India’s circumstances are, however, radically different. Broadband infrastructure is weak. Spectrum is expensive. Power is still in short supply. Digital access is now linked to the basics: Subsidies and rations, identification, financial inclusion and political participation. Expanding access today is therefore a top priority, which is why most of the big announcements during Modi’s visit to Silicon Valley were in this domain — not just Facebook, but also public commitments made by Microsoft and Google to connect villages and railway stations. The prime minister has made it clear that access is his top priority, but net neutrality advocates need not completely despair. The relentless drive to expand digital access in India may be necessary in the short term, but may make less sense once the Indian internet market becomes more saturated. That is another way of saying that the access vs neutrality dilemma could resolve itself organically. As incomes rise, consumers may gradually opt for data plans that give them greater access, foregoing more restrictive but free data services. Facebook’s Free Basics would, in that event, simply be a stepping stone that contributes in time to its own irrelevance.